When you're ready to face the ultimate in adventure riding, the top specification 1200 XCA lets you leave the everyday behind, with a Tiger that's now as great off-road as its always been on. 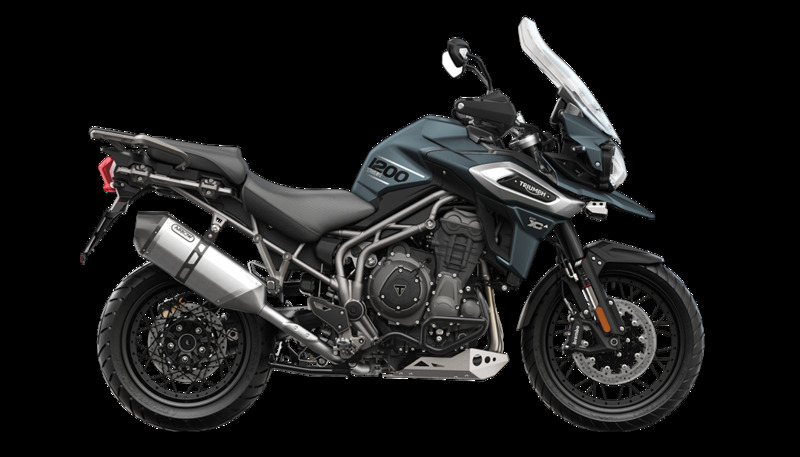 As it's the highest spec model, there's a serious step up in features over the XCX model to include; adaptive LED cornering lighting, Triumph Shift Assist for seamless clutchless gear changes, a premium Arrow silencer, and six riding modes including 'Rider Programmable' and 'Off-Road Pro'. 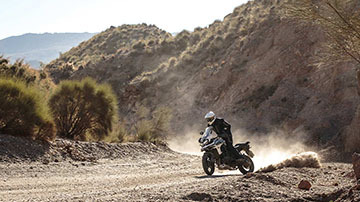 The XCA comes with a range-topping six riding modes. With 'Rain', 'Road', 'Off-Road'. 'Sport', 'Rider Programmable' and the new 'Off-Road Pro' mode, the XCA is ready for every challenge. The Tiger 1200 XCA features an adjustable '2 position' seat mechanism allowing the rider to lower seat height by 20mm from 855mm to 835mm to suit their style and provide a more comfortable riding experience.